Humuhumu ‘Ele’ele (Black reef triggerfish) appear out of the misty blue shallows of Hanauma Bay on the island of Oahu, Hawaii as the viewer peers between two coral heads creating a sandy valley in this interactive underwater image from Google Maps. Now we have no excuse to not get out and see the beautiful creatures living along Hawaii’s shores–and other shores for that matter. 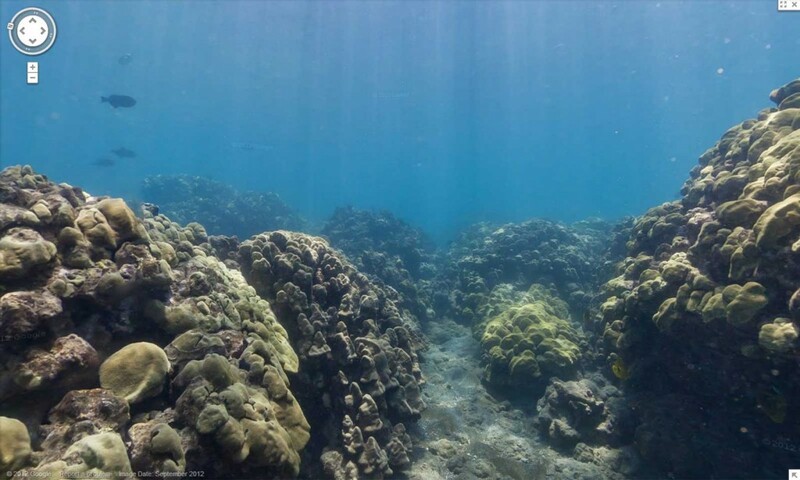 Google has just announced its first release of underwater panoramic images that function similarly to their “Street View”–one can move in any direction, viewing the sea life from many perspectives, just as if there for a swim. 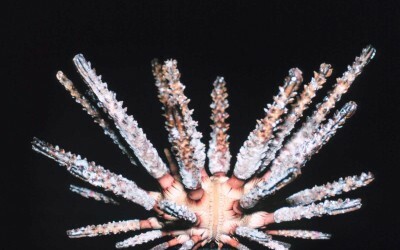 Here is the link to this picture in the new Google underwater maps. Hanauma Bay is known to millions of people across the world, as it is one of the most visited Marine Life Sanctuaries on earth with hundreds of thousands of visitors annually.